When I was in high school there was a popular series of photo books called “A Day in the Life…” There was A Day in the Life of Russia, A Day in the Life of Spain and A Day in the Life of America. The premise was that a number of the world’s renowned photographers would go to one geographic location and all on the same day they would photograph the country or place as they saw it. The results were compiled into a book and sold not only as a time capsule but as a diverse representation of the place. Let’s consider “A Day in the Life” genealogy style. Imagine a single day where a group of individuals – a diverse group of individuals - get together to capture everything they see. In this case the location is a historic cemetery. 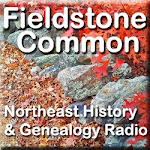 The genealogists transcribe the stones and determine the family relationships. The photographers capture them in images. The geologist analyzes the type of rock and where it likely came from. The archaeologist prepares sample digs to find remnants left behind by loved ones and discovers the remains of the first meeting house. The anthropologists study the symbols of the gravestone art. The historical botanist analyzes the traditional plants surrounding the graves. The surveyor confirms the boundaries of the area and which direction the graves are facing. The scientist uses ground penetrating sonar to discover unmarked graves and to reconstruct gravestone text that has been wiped away by the elements. The meteorologist determines the impact of acid rain on the decay rate of the gravestones. The masons determine the construction techniques used in the building of the stone walls. Ah, what a wonderful book this would be if we looked at the whole instead of just the pieces. One of my friends graduated from university with a degree in Anthropology. She went on, as so many of us do, to do something completely different with her life. A year or so ago she suggested I read a book called In Small Things Forgotten by archaeologist James Deetz. She knew that I researched African American history and mentioned that the book had a chapter on the topic. I remember reading it and being intrigued. This year she and I are interested in studying gravestone art. My friend mentioned a different chapter in the book. I pulled out the book again and read the chapter “Remember Me As You Pass By.” This time, however, I was completely transformed by what I read. Deetz looked at cemeteries with a completely different eye than I. He charted gravestone iconography to show when different symbols were in use and then he delved into the visual transformation from one icon to the next. Underlying all this was the history and reasoning behind why these changes were made. You may think this is not particularly significant but coming from my genealogical point of view it was earth shattering. For me, cemeteries had a significance for who the headstones represented. The names and vital statistics on the stones and perhaps the inscription were of the most importance to me. Now Deetz was showing me that by understanding the art on the stone I could better understand the people who ordered the stones and carved the stones and how they felt about death and life. And wasn’t genealogy all about understanding better the people we are researching? Suddenly my viewpoint of the world changed from that of micro to macro. No longer did I want to understand simply how a genealogist would interpret a gravestone or a document but I wanted to know how other disciplines would view it as well. In a chapter called “Parting Ways” Deetz reconstructed a small African American community in Plymouth, Massachusetts using archeological techniques further proving to me that there is more than one way to research. I hungrily started reading the other chapters in the Deetz book just to discover that he covered many subjects that I love – old houses, historic cemeteries, probate estate records and African Americans. He re-introduced them to me from his point of view as an archaeologist. Now as I look at the world I see it from my genealogist’s viewpoint but I also stop to consider how experts from other disciplines would view it as well. Check out a copy of In Small Things Forgotten and see how it changes the way you do research.